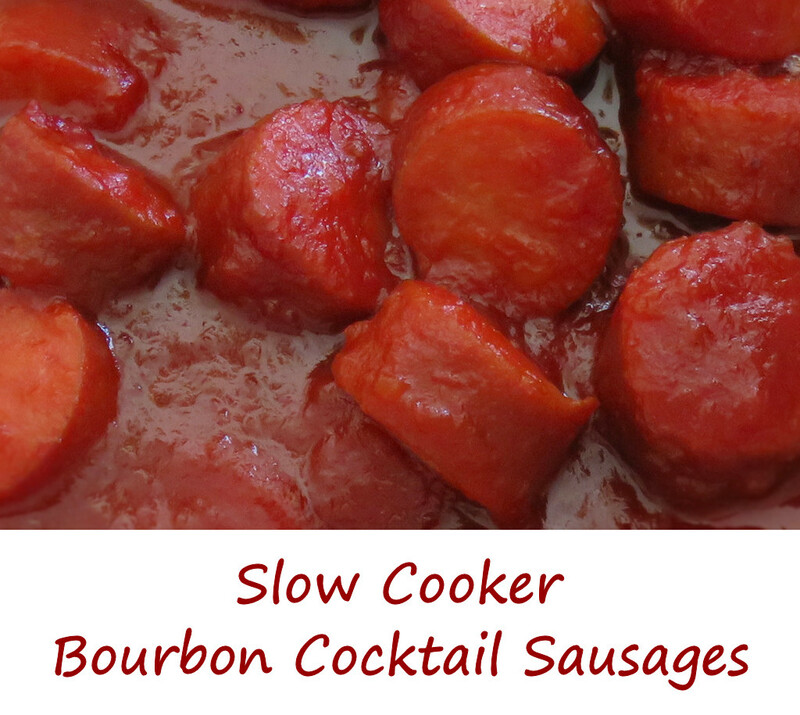 I wasn’t going to post these slow-cooker bourbon cocktail sausages when I first made them. I didn’t think that the world needed another cocktail sausage recipe. But after making them, and watching them disappear at a family get-together, I decided I just had to share. Slow-cooker bourbon cocktail sausages are very, very simple, yet very, very delicious. I actually left out the bourbon and was still left with a (just slightly) spicy sauce that was wonderful with the smoked sausage slices. I used sliced smoked sausage when I made these slow cooker bourbon cocktail sausages, but you could just as easily add Lit’l Smokies cocktail links. Make sure you let everything get happy in the slow cooker for the full 3 hours. The sauce will flavor the sausages over time, so give them time. Also try my sweet-and-sassy slow cooker appetizer meatballs. This entry was posted in Appetizers, Desserts & Snacks, From the Slow Cooker and tagged bourbon cocktail sausages, cocktail sausages, crockpot appetizers, crockpot cocktail sausages, crockpot sausages, recipe, slow cooker appetizers, Slow-Cooker Bourbon Cocktail Sausages by Mike. Bookmark the permalink.